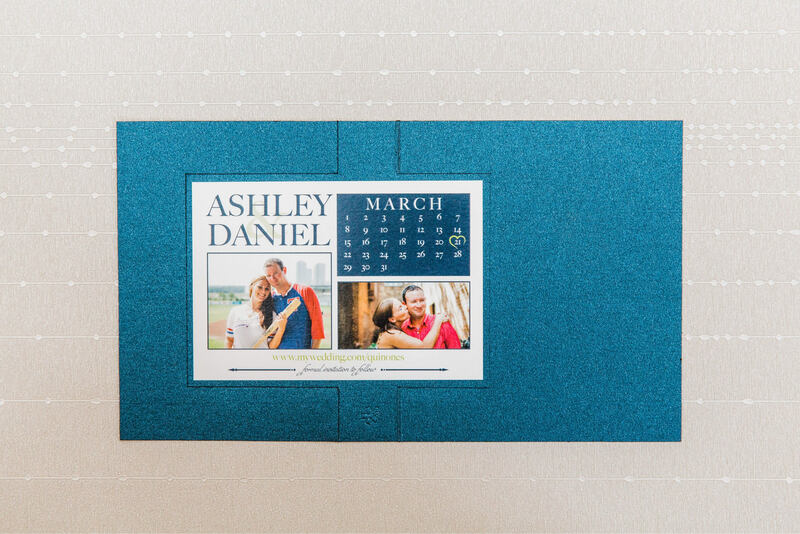 This custom twist card save the date features photos, a calendar in navy blue, and green. 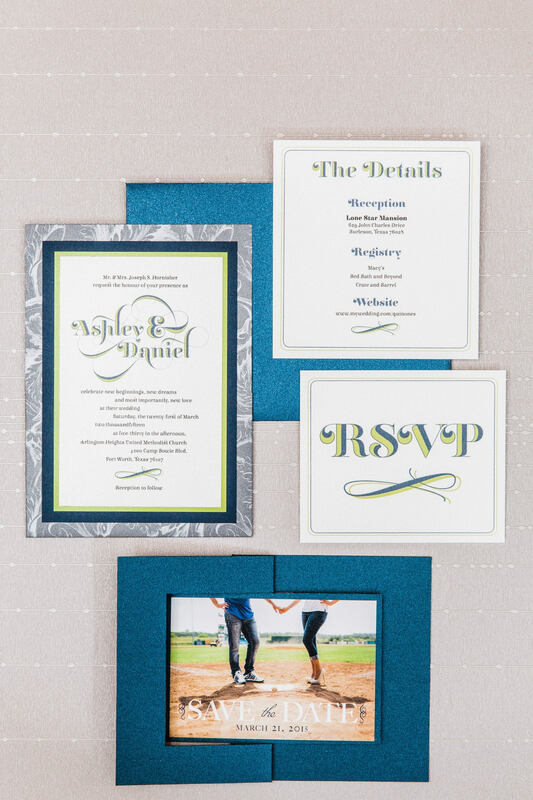 This save the date is 100% customizable. Colors, fonts, graphics, etc. can change partially or entirely. 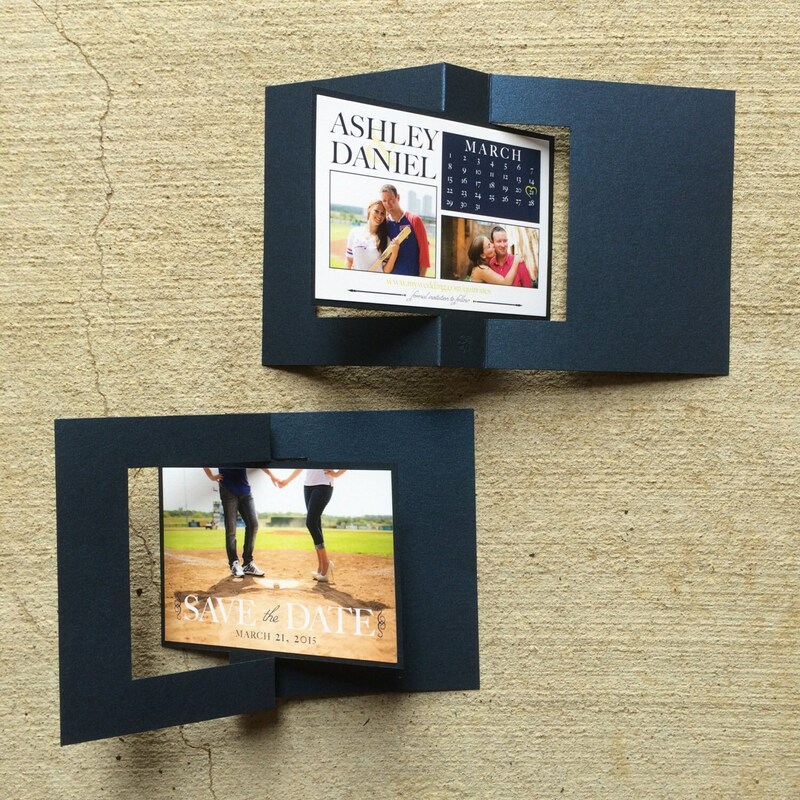 The twist card color and lime green backing layer colors can change as well. Please message the shop with questions. 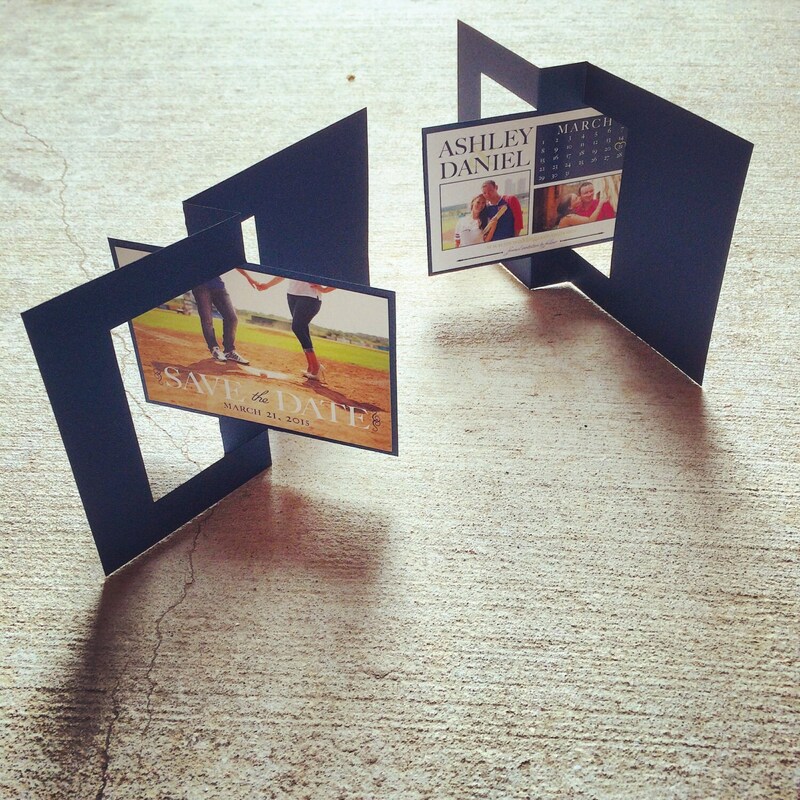 All of our save the date magnets are printed on quality magnets.